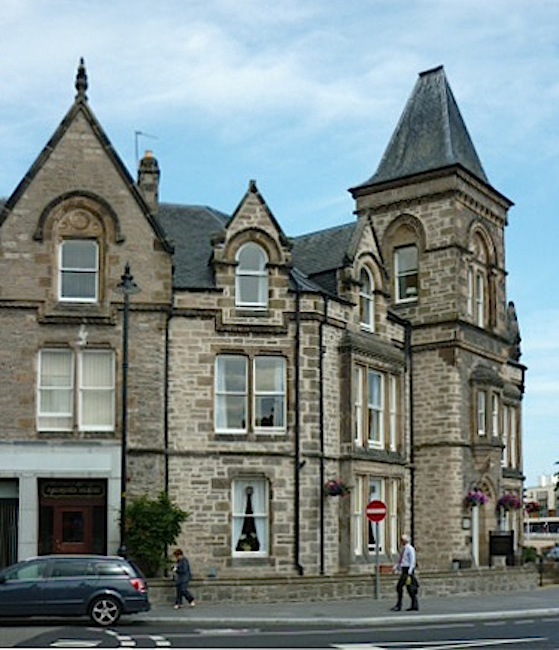 Ardross Terrace, Inverness, designed by Alexander Ross (1834-1925), 1873-81. Following right on from Ness Walk, with its imposing riverfront hotels, are a row of fine villas approaching and facing Ross's Inverness Cathedral. These Category B listed houses harmonise with their neighbours but are nicely varied. The building on the corner, shown from both sides above, is just across from the cathedral. The listing text describes it as "Flemish, snecked rubble." It is of two storeys with an attic floor, and the distinctive feature at the turn of the road is the tower with its slated French pavilion roof. 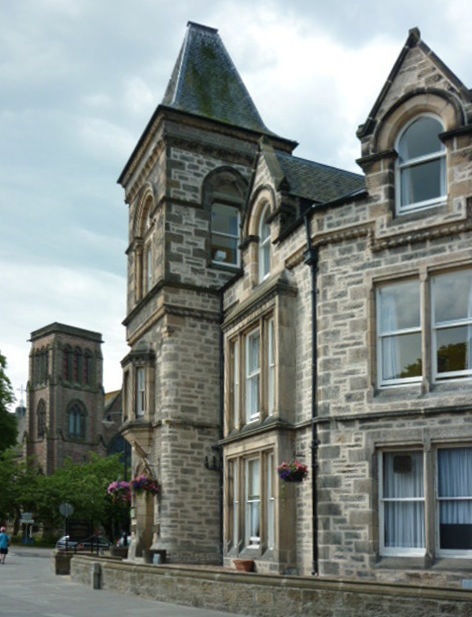 Ardross Terrace makes a group with the next houses on Ardross Street, producing a suitable ambience for the Cathedral. "Alexander Ross." DSA (Dictionary of Scottish Architects). Web. 15 December 2017. "Inverness, 1 Ardross Terrace." British Listed Buildings. Web. 21 December 2017.